Are you wondering if it’s still worth investing in email? There’s so much going on in the world of business these days. Everyone’s focusing on social media, working on search engine optimization, producing videos, and making a solid mobile marketing strategy to reach new prospects, gain better visibility, and improve sales. It’s not surprising if you question the relevance of email marketing in this new era of business. So, is email marketing dead? Below you will find five reasons why you should continue or start an email marketing campaign. Email marketing provides a fast and more convenient way of reaching prospects and retaining existing clients. You have full control over who sees which marketing material. You can reach consumers based on their age, what they do, where they are in the buyer’s journey, or where they live. By targeting audiences, you get to provide them with what they need at the most opportune time. Doing so should lead to higher conversion rates. Aside from that, emails sound more personal. You get to address clients and prospects by their names. In a way, it’s like speaking directly to them. Through these emails, you can add a human touch to the brand and even encourage consumers to understand why they should care why you do what you do. Email campaigns can work well with other marketing channels. For starters, the content you use in your emails can be repurposed and turned into social media posts. This way, you can multiply your reach without having to go through all the trouble to create new material. The videos and other visual content you produce can also be used to spice up your email marketing campaign. Several of your marketing channels won’t be able to draw relevant and accurate metrics as your email campaigns. As you know, analytics is crucial to the success of any campaign. What you measure determines what you’re doing right and what needs to be changed or improved. These metrics will produce not only numbers but insights into your audience’s behaviors and interests. The email marketing campaign itself serves as your best tool in understanding what type of content your prospects or clients are most responsive to. That enables you to further improve your strategies and achieve better results. Compared to the rest of your marketing efforts, running an email marketing campaign won’t be as expensive. You don’t have to print materials. There aren’t any postage fees or advertising rates. Email is the most affordable tool you have at your disposal. Not only is it budget-friendly, it is also effective. Research shows that email marketing brings in an average of $44 for every dollar spent. If you automate your campaigns, you might even see better results. Automated emails can produce conversion rates that are 180% higher than batch emails. Not only that, automation can drive 320% more revenue than non-automated emails. To improve your email campaign’s performance, you should verify your consumer’s postal addresses using international address validation software. You need to check if their phone number is valid. Above all else, you must verify their email addresses to reduce bouncebacks. Email marketing isn’t new, but it is by no means an outdated strategy for business. If you’ve thought about ditching your email marketing campaign, don’t. This practice provides endless opportunities for you to show off your expertise and brand voice and with little to no cost. 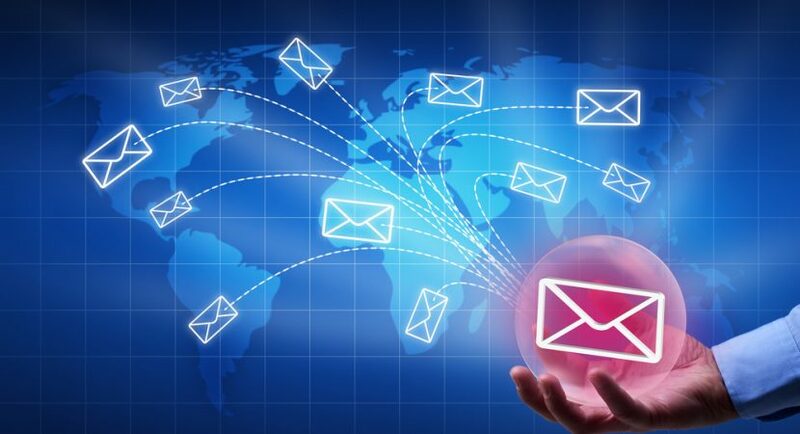 In this ever-evolving digital landscape, email remains a fundamental tool for business.